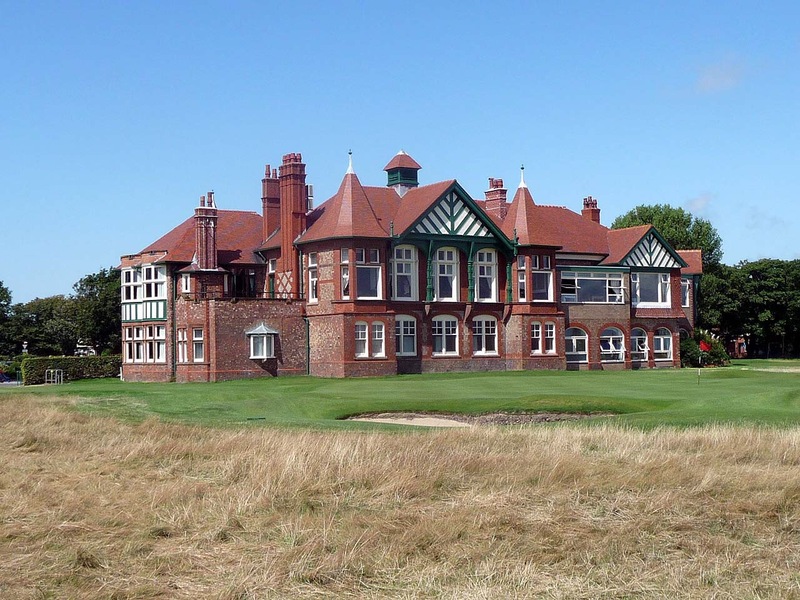 The 2019 Lytham Trophy will be played on 3rd – 5th May at Royal Lytham & St. Annes Golf Club in Lancashire, England. It is always the first major event in the Great Britain and Ireland (GB&I) men’s amateur golf season. In 2018 the Scratch Players World Amateur Ranking (SPWAR) placed it 18th in it’s list of worldwide amateur competitions based on field strength. It normally ranks 3rd in GB&I behind the Amateur Championship and the St. Andrews Links Trophy. Coming early in the season it is held back by missing out on European players studying at U.S. colleges. 144 scratch golfers from 15 diffrent countries will tee off in what will be the 55th playing of this prestigious competition. Many of GB&I’s leading amateur golfers will be competing. A prolific winner in recent years the 2019 South African Amateur champion must start as one of the favourites. Not quite in the same league as Nienaber but Schaper will arrive in confident mood after winning the 2019 South African Amateur Stroke Play Championship. The 2019 Australian Amateur champion is playing consistently well and with plenty of links experience can be expected to feature highly again. Caolan has finished tied 21st, tied 7th and tied 14th in the last three Lytham Trophies. It will therefore be no surprise to see the Dundalk man go well again in 2019, particularly after his recent win in the West of Ireland Open Championship. Canadian Savoie played well in Australia earlier this year and will be looking to secure a high finish at Lytham. The 2019 African Amateur champion knows a top 10 finish at Lytham will go a long way to securing his place in the 2019 GB&I Walker Cup team. Saunton’s Burnage finished 3rd at Lytham in 2017 and whilst he has been a bit inconsistent since he is certainly capable of another high finish. Plumb, recent winner of the Cape Province Open in South Africa, is the highest 2018 finisher returning this year. Another 5th place or better in 2019 would be very welcome for the Dorset man whose Walker Cup ambitions are increasing by the month. Matthew JORDAN (ENG) won the 2018 Lytham Trophy by an impressive 9-shots after recording rounds of 67, 69, 70 and 66 – not one of over par – for a 272 total (-8). Mitch WAITE (ENG) finished 2nd with a 281 (+1) total whilst Sam LOCKE (SCO) and David NYFJALL (SWE) finished tied 3rd with a 284 (+4) score. Tom PLUMB (ENG) was 5th, one shot further back, on 285 (+5). 49 players on +7 or better made the top 40 and ties cut in a competition unusually played in dry and sunny weather. In 2004 21 year old James HEATH won with a record score of 266 (-18), recording rounds of 67, 68, 66, and 65. Garth McGimpsey, the then Walker Cup captain, described Heath’s performance as ‘the best amateur golf I’ve ever seen’. No one else has ever come close to this mark before or after. The next best scores being Daan HUIZING’s 273 in 2013 and Richard MCEVOY’s 276 in 2001. In 1999 the Lytham Trophy was won by German Tino SCHUSTER, the first time a non-GB&I player had been successful.